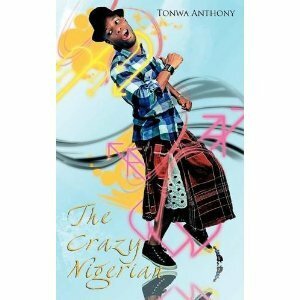 My debut book, The Crazy Nigerian is now available! (Look ma! I did it!) In order to get your copy of this gut-busting, action-packed memoir of my memorable mishaps and misadventures, then just keep reading. Soft paperback and E-book version available on Authorhouse, Dealdey, Amazon, Barnes & Noble and in Lagos on Trioni Ent. You can enjoy The Crazy Nigerian on your Nooks, iPads and Kindles if paper isn’t your thing. In Lagos, my book is currently available at Terra Kulture bookshop, The Hub Media Store (Palms, Lekki), Silverbird lifestyle Victoria Island and soon to hit other local bookstores so watch this space.Be sure to leave your comments here or alternatively you can send them to dcrazynigerian@gmail.com. Alternatively you can call +2347032024019 or send a BB message to 284D7BB7 to speak to the Crazy Nigerian in person. You can show your support by going to ‘Like‘ my Facebook fan page ‘Tonwa Anthony’. Crazy videos coming soon! Comments & criticisms also welcome…(yikes!) Follow @dcrazynigerian for crazy updates and crazy articles. Gosh, I’m overgasted and flabberwhelmed, lol. Thanks and I’m glad you enjoyed it. I’ll see how I can make some autographed copies available (nothing is impossible with God in the picture). I LOVED IT! Had me in stitches all through!